I'm experimenting with buttons and LEDs and I would like my code to change a LED's brightness once a button is pressed. I connect the LED to the PWD digital pin. Though, the LED never turns on, but the light on the Arduino is on. I made sure the leads of the LED were in the right spot. 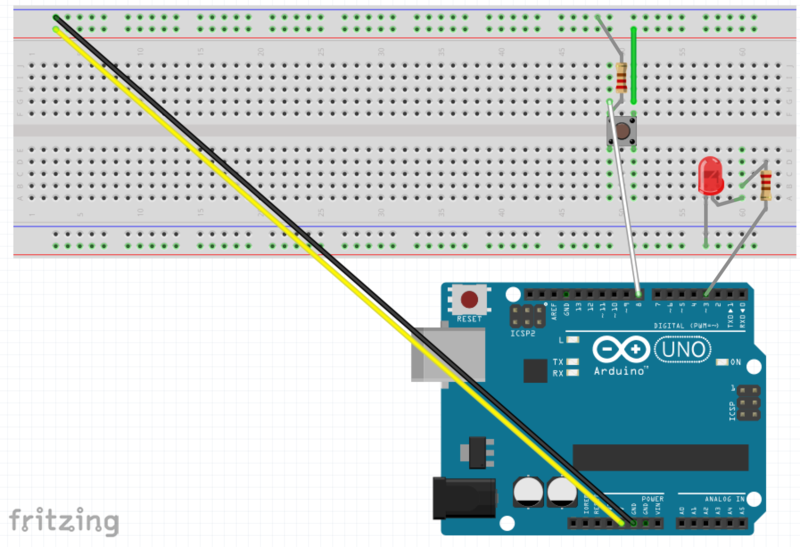 Why doesn't the LED turn on? Because you don't actually have a circuit? One side of the LED doesn't connect to anything. Not the answer you're looking for? Browse other questions tagged c++ led electronics or ask your own question. Why doesn't pin 9 blink? Why doesn't my LEDs turn on?